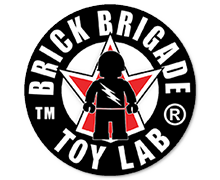 World War Brick 2013 will take place in Brickmania’s own gallery and studio space, aka the Brickmania Toyworks. We are located in a section of a former armaments factory in the heart of the Northeast Minneapolis Arts District. The public exhibition will take place in our 9600 sq ft of gallery space, with the additional space available for during non-public hours. 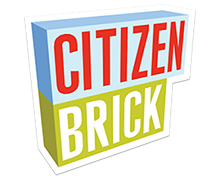 The Brickmania Toyworks is located less than five minutes from downtown Minneapolis and vast array of restaurants and hotels. We are located 150 feet from the stop of the #10 bus, a high frequency route connecting us to downtown Minneapolis (and Hiawatha Light Rail Train to the Twin Cities International Airport and Mall of America). We are also planning to obtain a group rate at one of the nearby hotels for out-of-town guests. The Brickmania building was built in the 1930’s and was designed to meet the needs of an industrial workforce. While we are on the ground floor with street level access, the building itself is not currently 100% ADA compliant. However, we will strive to accommodate all of our visitors and participants, so please contact us if there are any concerns over specific needs or requirements. dan will will have any brickarms prototypes for sale? You have to be here to get them. Any leftovers will go to Brick Fiesta the following week.